A peanut butter cookie married a snickerdoodle and had a Peanut Butter Snickerdoodle baby! 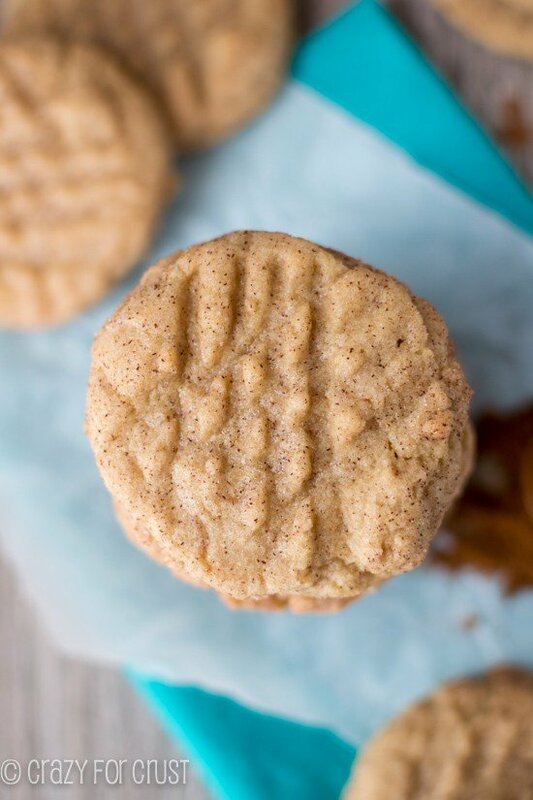 This is the ORIGINAL Peanut Butter Snickerdoodle Recipe – EVERYONE who tries them loves them! It took me three tries to get this cookie perfect. The first was too dry, and sort of like a hockey puck. The second was better…but still hockey puckish. The third? The third was juuuuuust right. 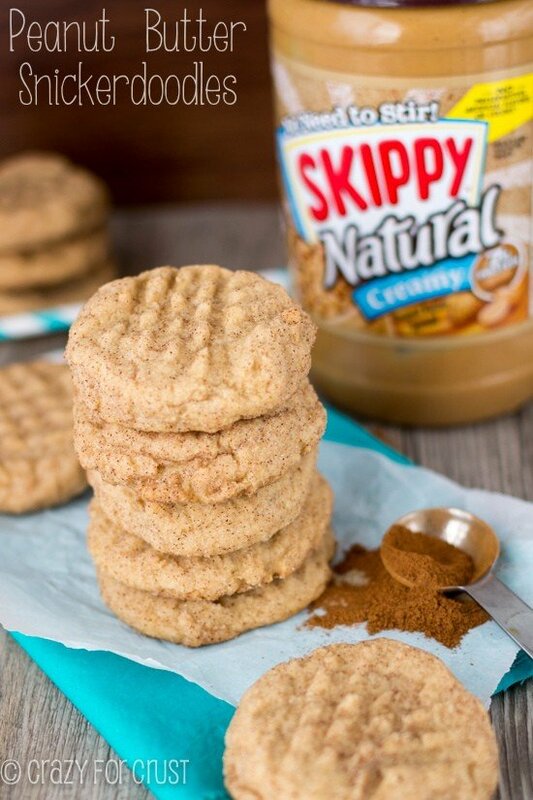 The perfect mix of peanut butter cookie and snickerdoodle; peanut buttery and cinnamon, chewy and soft. This? This is my new favorite cookie. And, as usual, I used Skippy Peanut Butter. Is there any other brand? I use a lot of peanut butter. That jar is the largest size you can buy at Walmart, and I go through about one every two weeks…or less. And we don’t eat peanut butter sandwiches; 99% of it goes into baked goods. Check out my peanut butter collection for proof. 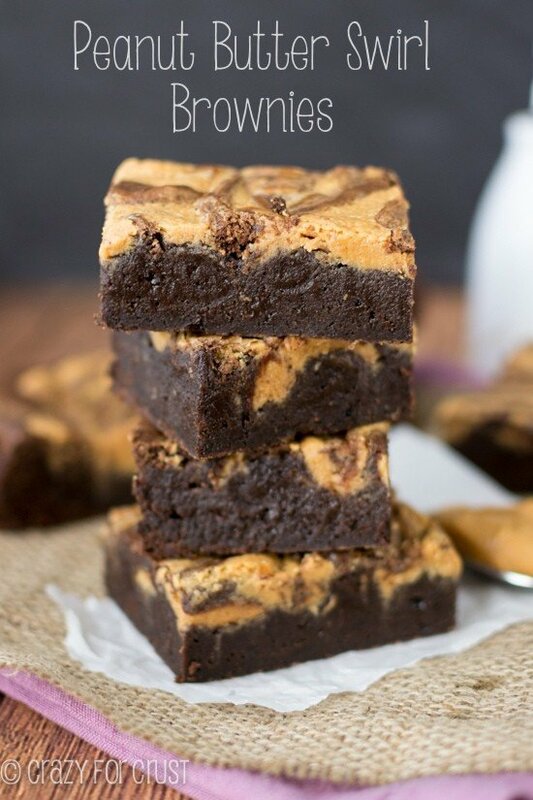 I’m a peanut butter baked good addict, and I’m not afraid to admit it. I think it’s one of the reasons Averie and I are friends. She has a whole cookbook on peanut butter. Anyway, as long as I can remember, Skippy has been my brand. I think when I was a kid my mom may have bought another brand once or twice, because she had a coupon. We always went back to Skippy. 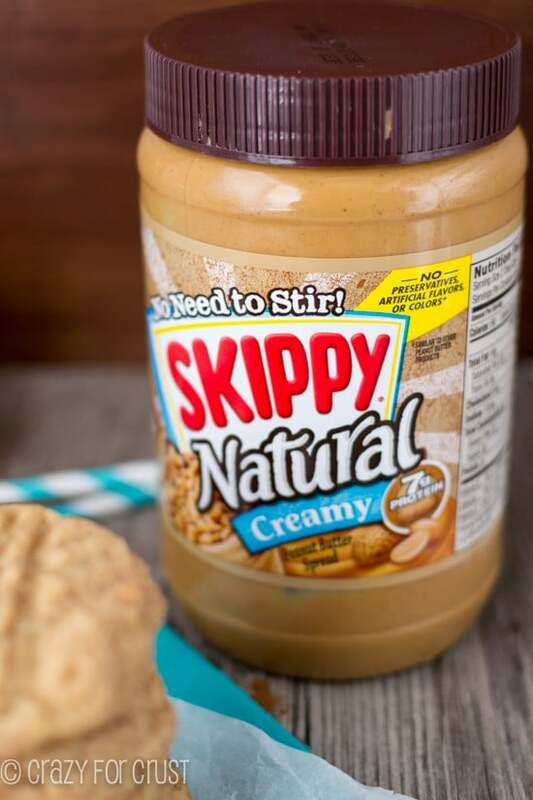 A few years ago I discovered Skippy Natural, and my new love was born. If you’ve visited a peanut butter recipe on this site, it’s included Skippy Natural. Its a natural peanut butter that doesn’t need stirring. Kind of genius, right? It performs perfectly in baked goods and packs a bigger peanut butter punch than regular peanut butter. Skippy is hosting a virtual cookie exchange and I’m so excited to be a part of it. I’d tested this recipe twice when I joined in the cookie exchange, and knew that, if I could perfect it, this would be the perfect cookie to share. And it is. The perfect cookie. Okay, picture it: a cookie wedding day. The Snickerdoodle bride in her cinnamon veil, the peanut butter cookie groom in his peanut butter bow tie. Grandma Snowball and Aunt Muriel, the chocolate sandwich cookie, watch from the front row. The bride and groom tie the knot and live happily ever after. Then they have a baby. A Peanut Butter Snickerdoodle baby. 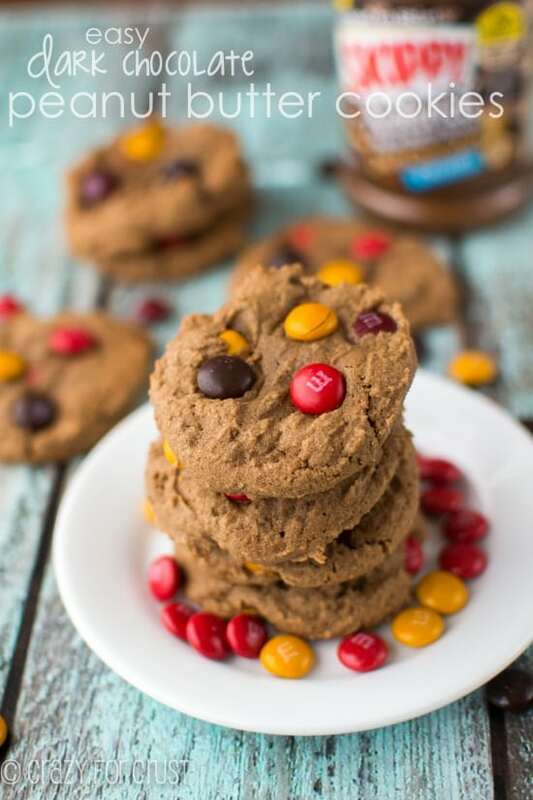 This cookie is a peanut butter cookie infused with cinnamon. 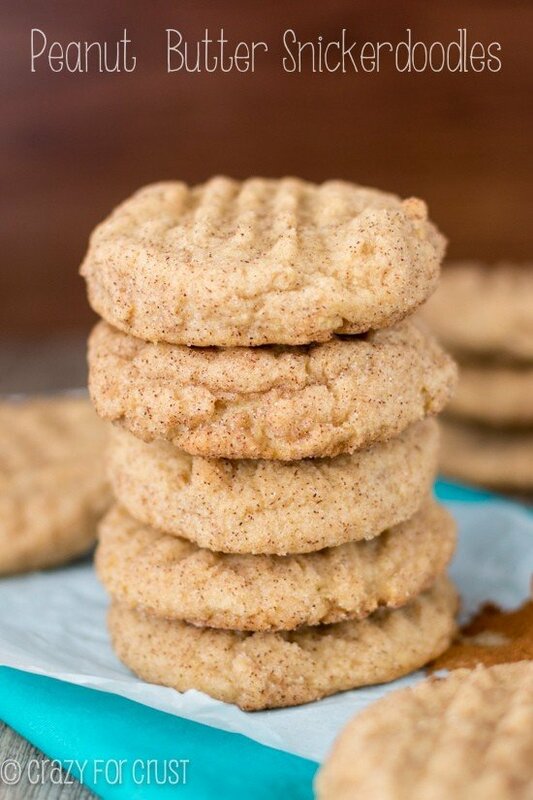 There is less peanut butter than in my normal peanut butter cookie recipe, to allow more of the snickerdoodle to come through. I also use more white than brown sugar, which is something that I don’t do regularly, because I love brown sugar so much! 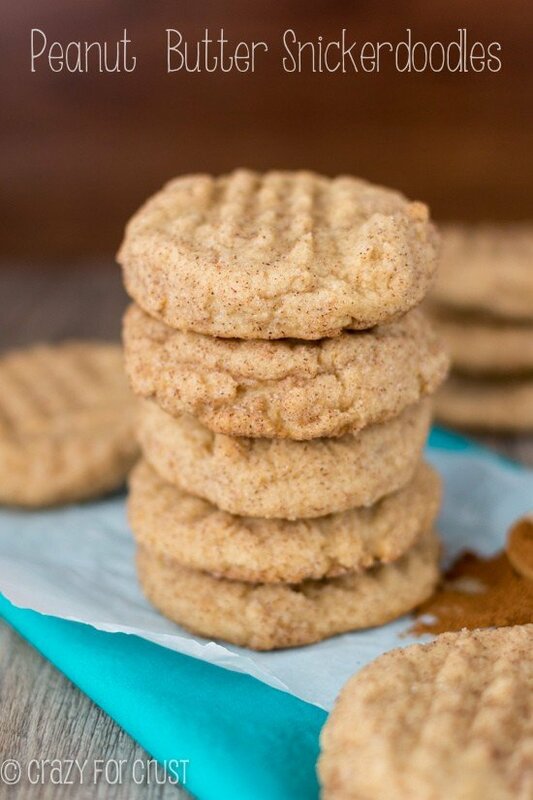 A teaspoon of cinnamon goes into the batter, and the cookies get rolled in a cinnamon sugar mixture before baking, just like a snickerdoodle. You can see all those wonderful cinnamon flecks in that picture – aren’t they gorgeous? The cinnamon adds a little heat to the peanut butter and it’s the perfect complement. It’s one of those flavor combos that you didn’t know you loved until you tried it. This would be the perfect cookie for your Christmas platters. Satisfy both cookie lovers on your list! And I don’t know, but I think that Mr. & Mrs. Peanut Butter Snickerdoodle make pretty cute babies. What do you think? 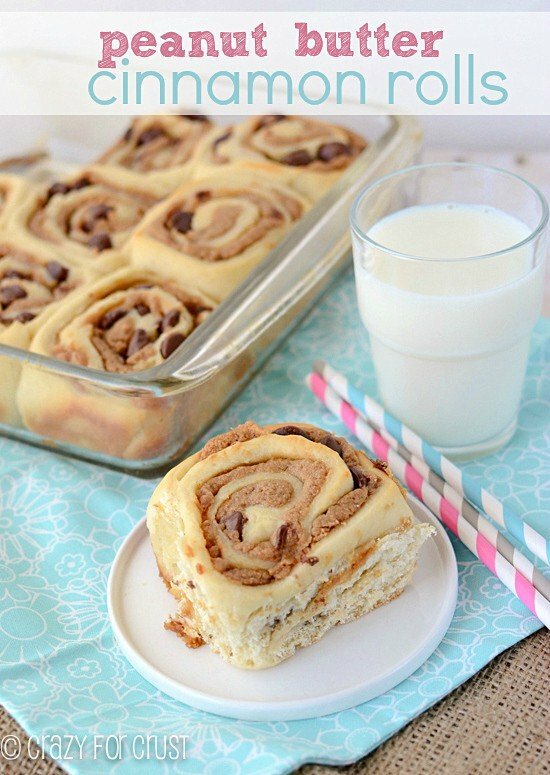 These freeze well too – great for making ahead for the big holiday! Preheat oven to 350F. Line cookie sheets with parchment or a silpat baking mat. Cream butter, peanut butter, and 3/4 cup granulated sugar, and brown sugar in a mixer until fluffy. Mix in eggs, vanilla, and 1 teaspoon cinnamon. Mix in dry ingredients. Beat just until mixed. Stir remaining 1 teaspoon cinnamon and 1/3 cup sugar in a small bowl. Scoop balls of cookie dough (mine were done using a 2 tablespoon cookie scoop) and roll them in the cinnamon sugar. Place on your cookie sheet. Use a fork to press the cookie down in a criss-cross pattern (two presses will be enough). Bake cookies for 10-12 minutes. Cool slightly before removing from cookie sheets. Yup, this post was sponsored by Skippy. But it’s my absolute favorite brand of peanut butter, so it’s not a stretch I wrote about them. All opinions are 100% my own! Hi Sandy! I’ve shared a picture + link on Facebook, yes. I never share recipes on FB because then no one would come to the blog. 🙂 I’m glad you liked them! I made a double batch of these tonight (for like the 783rd time). I love that no chilling is required and the cookies come out perfect every time! LOVE this recipe, Dorothy! So I just made these unbelievable Peanut Butter Snickerdoodle cookies! They are so good! My grandson loved them, my husband loved them, I love them! I make these every holiday season for multiple gatherings every year, and they’re always a huge hit! I’ve never had any issues with this recipe and they bake beautifully. 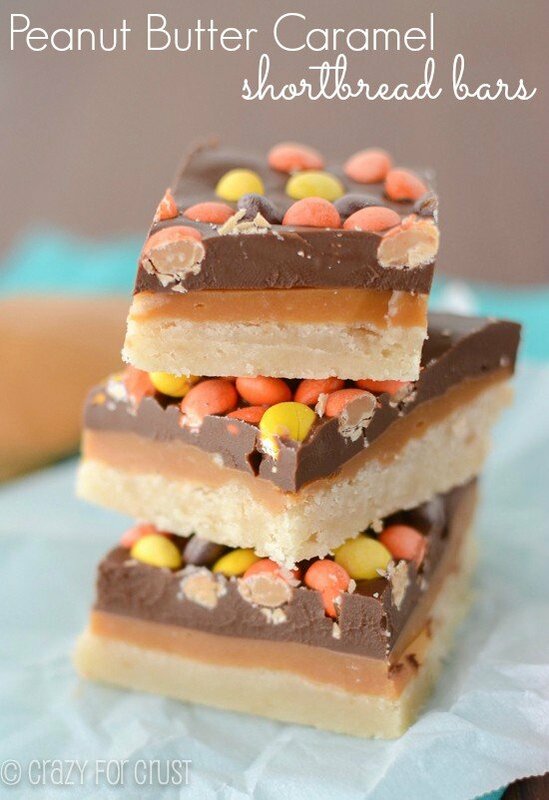 They combine my love of all things peanut butter with a traditional holiday favorite. Love these!